What are the essential elements of an Employee Engagement survey? One of the biggest challenges in measuring employee engagement is dealing with respondents’ willingness and ability to trust the source of the survey. Will their answers be kept confidential? If they respond negatively will there be retribution? Obviously, your business culture has a lot to do with how employees view your employee engagement measurement. One way to help mediate these concerns is to use a truly objective third party to invite employees to respond and to collect the information. Additionally, report the data should so that you do not compromise confidentiality. If you are reporting the results from a very small department, it might be fairly easy for management to identify specific respondents. So be sure that your reporting does not compromise or even have the appearance of compromising – the guarantee of confidentiality for respondents. The second – and very important – caveat about employee engagement surveys is: If you don’t intend to act on the results, don’t do the survey! Asking employees for their opinions sends the signal that you are going to do something, and rightly so. 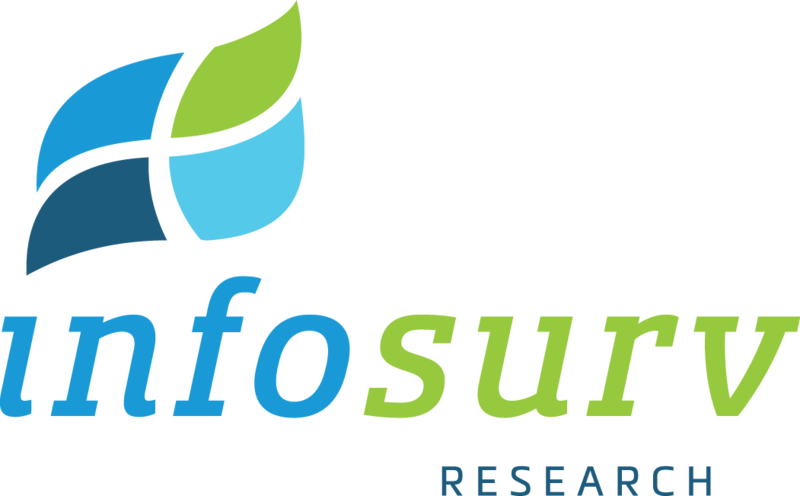 Not taking action on employee engagement survey results sends the message, “We only pretend to care what you think.” In fact, Infosurv has demonstrated a clear, positive connection between proper survey follow-up and action planning and significant increases in employee engagement. Now clearly, you won’t be able to make everyone happy – there will be suggestions or actions you simply cannot do, but you need to put those to bed with reasonable and credible explanations about why they will not or cannot be implemented. Overall Satisfaction. The traditional, basic overall satisfaction question is still an important part of the Employee Engagement Survey. It’s bottom-line approach, and simplicity makes it easy to work with in analysis as well as easy to communicate to management. Intent to be working here in 12 months.While this is not infallible as an indicator of employees with one foot out the door, it is a strong indicator of their commitment to your business. Willingness to recommend your business as a place for friends and family to work. This question is a basic test: if they aren’t willing to bring their nearest and dearest to you as employment candidates, you have to wonder about their true commitment to your business. Willingness to recommend the business’s products and services to a friend. This question demonstrates their belief in the quality and desirability of your products. Again, if they fundamentally believe in what the company is producing or doing, they will tell their friends to spend their money with you. Going above and beyond the expected in my job. Employees who “just show up” and do the minimum required are not engaged This question will help you weed out those who are, but make sure you ask it in a way that doesn’t automatically get you a highly positive answer. After all, no one thinks of themselves as a slacker. How do employees feel about work? Including how they perceive their coworkers feel about work. Do employees have confidence and trust in senior leadership? How are supervisor and co-worker relationships, including trust and friendships? What is the company culture and values? Including risk-taking, and how the company cares about employees. Are communications clear and effective? Does the work environment and job fit the employee? Includes how the employee relates their job to the company’s goals. Does the employee take ownership and have the ability to work autonomously? How do employees perceive their opportunities and career development? Note that these are not questions, rather they are areas for questions. It is most important that you tailor your survey to your business, your challenges, and your strategy. Although employee engagement surveys tend to be longer than customer satisfaction surveys, it’s still important to keep KISS in mind and make sure you’re not asking multiple questions that essentially cover the same ground. Finally, once you have determined engagement levels at your organization, try tying them to customer satisfaction levels or NPS results. Our research shows these two areas are highly connected with employee engagement having a profound impact on the customer experience. Bringing these two data sets together will yield a fuller picture that ultimately benefits your employees, your customers and your bottom line! Contact Infosurv to help create your Employee Engagement Program!